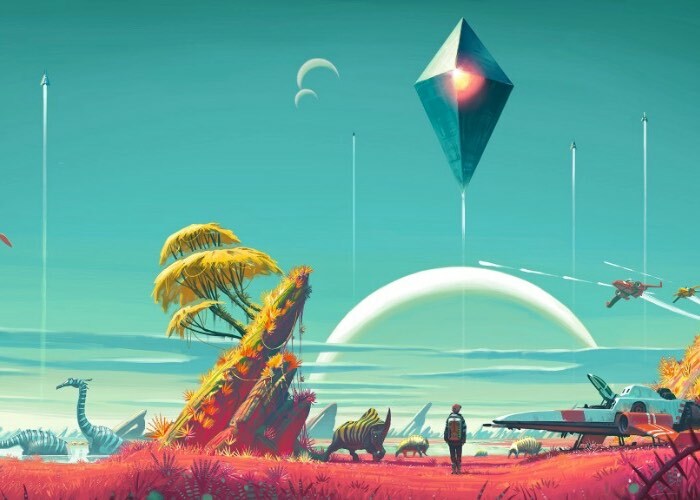 If you are curious to the gameplay frame rates you can expect to enjoy whilst playing the new and highly anticipated No Man’s Sky game which is launched today by Hello Games and will be launching on PC systems in a few days time on August 12th, 2016. You may be interested in a new performance test that has been created and published by Digital Foundry providing a good overview of the performance you can expect from the game on Sony’s console. Digital foundry explain a little more about the testing involves and the results. So let’s kick off with the basics. The PS4 version runs at a native 1080p resolution, and commits itself to a 30 frames per second cap with v-sync engaged. And by and large, it holds up well. For any on-foot action across our very first randomly generated world, we struggled to find any drops at all. And this is really pushing the envelope here – our debut planet is high in flora and fauna, absolutely filled to the brim with tropical trees, hills and wildlife. But even with this immense density of detail, there wasn’t much more than one single frame drop from 30fps across that initial hour of play. Whether it’s shooting chunks through the terrain, or sprinting around full-felt, that 30fps target doesn’t waver. And from the first 12 planets we’ve discovered and put to the test, it doesn’t appear to matter what climates or weather conditions are in play. Now the only slight downside to the frame-rate cap is the lack of motion blur to back it, in order to make panning motions appear a little smoother. But that’s a nitpick: those after super-smooth motion are best advised to wait for the PC version, but for PS4 we’re getting an evenly frame-paced delivery at a straight 30fps. At least, this applies for one half of the game – the on-foot sections where you spend most of your time exploring. But the other half is spent in your ship, and this is where the game’s engine is tested. For the most part you’ll again be hitting a flat 30fps here, even in complex, vibrant areas like our opening planet. Basically, it seems to be the case that anything that’s been procedurally generated in advance runs well to a certain point, and the same usually goes for fast traveling through space. For the full performance test jump over to the Eurogamer website via the link below.